Unfortunately I cannot sleep and decided to write my assignment now instead of later in the morning. I honestly faced difficulties for this assignment, especially due to heavy workload that is often placed on students near the end of the semester. I am seriously annoyed and cannot deal with overload of work that is given to students; do instructors forget their academic experience in college and the stress students endure? Anyways, when I rhetorically think about Barron’s Pencils to Pixels, I start to reminisce on how new literacy technology is often not afforded to students when first created. An excerpt in the academic article that seemed relevant and powerful, is when he mentions, “Each new literacy technology begins with a restricted communications function and is available only to a small number of initiates … As costs decrease and the technology becomes better able to mimic more ordinary or familiar communications, a new literacy spreads across a population.” I often think that students are stifled or removed from accessing important technologies, especially in current academic institutions. Before transferring to Chico State, I reflect on how composition/academic essays were produced and the very ineffective methods that did not work or help my understanding on how to compose an essay. 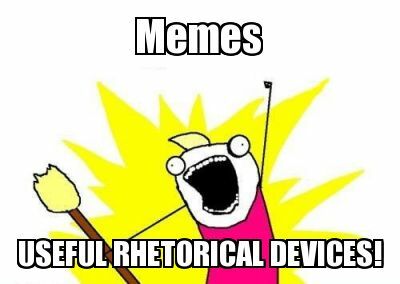 Rhetorically, I think about the rhetorical situation and how the assignments reflect an overview of how essays were composed before computers/digital media were created, and irrelevant to expanding new literacy practices. I correlate this article to Shipka and how she mentions the importance of expanding multimodal assignments. The examples she used are relevant and demonstrate that composition can be produced in many formats. Also, I am very excited how rhetoric continues to play a major role in composition and how students approach composition. Ultimately, I believe that like new literacy practices/new methods of composition, students should not be forced to produce work that is reflective of previous methods of writing. Students should be able to compose various assignments with new digital media literacies, different writing formats, which potentially correlate with writing in the real world. I know that I am constantly struggling with my English Degree and how we are forced to emulate written academic articles, hindering students from expanding literacy practices within our own major and not emphasizing the importance of digital literacy. However, with this course, I aim to help students understand that composition is not only based on written text and there are various methods on how to compose an assignment.